Everyone has heard about the ancient alien theory and heard of the ancient aliens television show. But how true are the theories, and have we really been visited in the past by aliens? This week’s series deals with the facts and not just the theories. What records do we have to prove of their existence? Whether you’re spiritual or not, the bible is one credible source. Another credible source is history itself through archeological evidence, as well as the historians of the times and their accounts. Today, we will look at the biblical source of Genesis, as it speaks of “angels” coming down from heaven, mating with mortal women, and producing abominations called Giants. 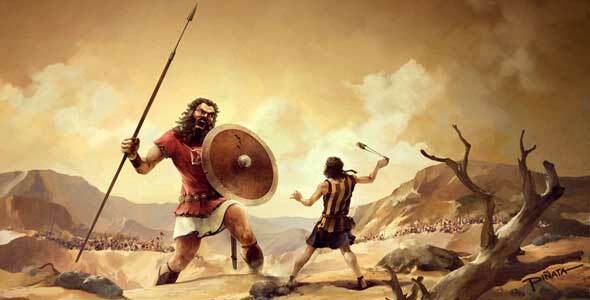 There is also the account of Goliath. Do giants really exist, and if so, how big were they actually? Several stories in mythology speak of giants who wreak havoc on the land, destroying villages, and cursing the fate of mankind. What, if any, is there connection to aliens? Through our links, we will address these issues. Do you believe they were once real, or are they just fairy tales were told as children? 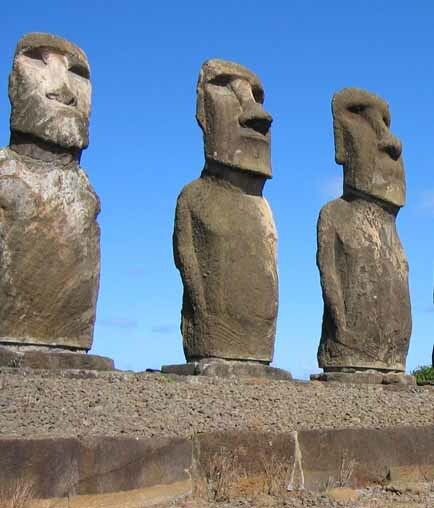 Today we’re going to discuss some ancient structures and geological features that some ancient alien theorists believe are signs that we have been visited by aliens in the past. They are the Nazca lines, the pyramids, and the Bimini Island formation. 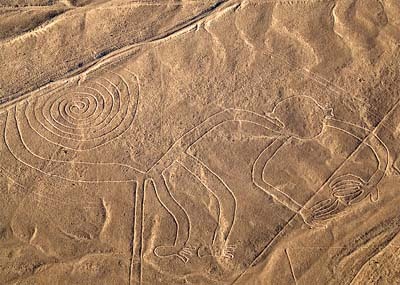 As far as the Nazca line goes, there have been several theories stating they were made by lasers from space ships to cut through the rocks or made for landing strips for extraterrestrials. There is a more credible solution(in the links below) that state that they were more likely tools for astronomy. It has been proven that South American cultures relied heavily on the movement of the sun, moon, and stars to plan their everyday lives. I for one am willing to buy this theory except for the fact that they are only visible from the air. How could such an ancient culture achieve this feet? 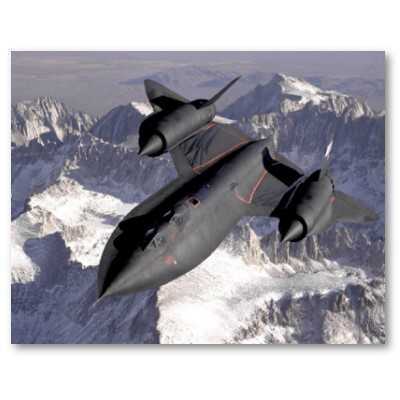 One way would be to watch and instruct others from a mountaintop overlooking the planes. Either way, they are surely an interesting piece of handy work! 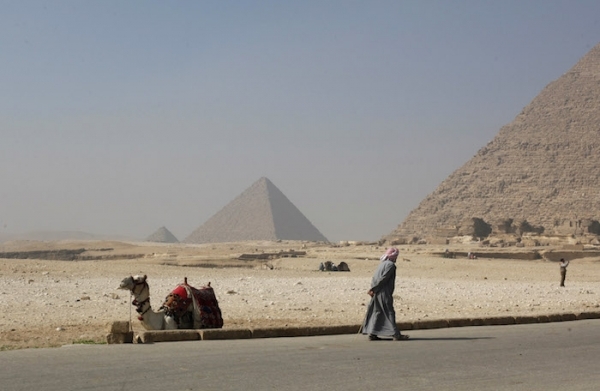 What about the pyramids? How were they made, and how were they able to have such precise angles? How were they able to point directly towards the North star and Orion’s belt. 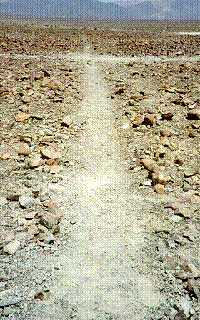 They are also aligned with other pyramids around the world in the same latitude. Coincidence or a preplanned construction project by aliens? Go to the links below and decide for yourself. Some believe that the feat would have been impossible without superhuman help, and others believe it’s just a matter of mathematics and physics. The same can be said of the Bimini rock formations. 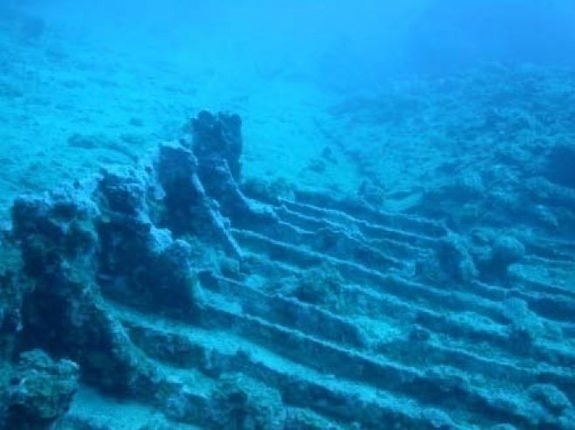 Some believe they are a road that belonged to the ancient mythical city of Atlantis, and others believe they are just natural rock formations. There was a structure near Japan that was similar, which they know believe was from a lost civilization from twelve thousand years ago. Who are we to say that there couldn’t have been a more advanced civilization that collapsed and vanished from the face of the Earth. Natural disasters affect our advanced civilization every day. A global catastrophe could wipe us all out in the blink of an eye. This series is about factual reasons for these monuments, not wild theories about aliens. Although I feel the truth is probably somewhere in the middle. I do believe that some of the alien hype is true; after all we reached the stars, why couldn’t another race of beings from another planet? Tomorrow we will discover what the bible says about gods, demons, and angels and what alien theorists believe in the topic. I also will explore what the scientists also say about aliens, religion, and the afterlife. Until tomorrow, ask yourself this question: Am I really human, or am I a descendant of a genetic experiment from a race of extraterrestrial beings? The first element of this question is simple-first you have to define what it means to be human. When man first came out of a cave, he looked up at the sun and saw that it gave him warmth and helped him to survive. In his primitive mind he worshiped this life giving power which was above his own and gave him the name God. They knew he couldn’t have done it all on his own, so he gave them assistants called angels. In a way he was correct to assume that this was a supernatural power. After all, science as we know it is miraculous in itself. In the bible, there are mentions of otherworldly beings such as angels and demons. Alien theorists believe that demons are not demons at all, but extraterrestrial beings sent here inter- dimensionally to perform diabolical scientific experiments on mankind. Whether they believe this or not, there is no evidence in the scriptures to support or debunk this theory. There is, however, physical evidence to prove that we received some form of outside knowledge, whether it be divine intervention, alien support, or help from an advanced society from our past our possibly our own future. But what do scientists believe about religion, aliens, and the story of creation? There are many scriptures which talk about demons as being messengers of Satan, the fallen angel. Everyone is familiar with the story of the angels being cast from heaven. 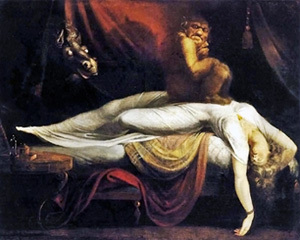 There are several theories which debunk the alien myth by stating that they are really demons in disguise. There is also, of course, the scientific belief that religion is all a state of mind and has no basis in fact. This is rather ironic, considering that at one point they were one in the same. I’ve had my own discomfort questioning my existence at times, considering I was the son of a minister. When I was young, my father preached that God was all that we eat, drink, and breathe, and was essential to our existence. I watched him slowly wither away from pancreatic cancer, questioning the existence of God himself, feeling that he had somehow failed him. I knew in my mind that this was not true, but I couldn’t help but feel sometimes that in the back of mind maybe there wasn’t a god and there was another explanation. What do you believe? Do you believe in a spiritual existence, that we are descendants from extraterrestrials, or do you think we all grow old and just die? I know in own beliefs, however, that soon there will be a great revelation for mankind. It could mean a new enlightenment of mankind, or it could be his own destruction. Whether or not we have been visited by aliens, there is one thing that most current scientists do believe in. The probability of extraterrestrial life is almost certain. They have just discovered in the billions of stars in our galaxy alone there are more than 200 planets that may be suitable for life, just not the life as we know it. Most scientists agree that all life must live on a world with water. The rules of evolution, however, may differ depending on many factors, such as gravity, distance from the sun, type of sun, chemical composition of the planet, and whether or not intelligent life is even possible. Hostile civilizations here on Earth tend to collapse, due to their own destructive behavior. Then there is the tremendous distance between worlds. 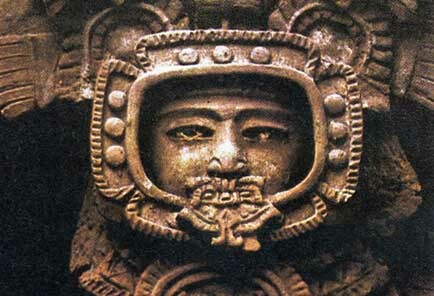 But how have the ancient alien theories change the way we look at these complex problems of intelligent alien life? We have seen how even the beliefs of our ancestors have changed the way we have looked to the sky, hoping one day we might reach there. Without this belief, Orville and Wilbur Wright would have never made their famous flight, and we would never have went to the moon. If we could do this, there is no doubt in my mind that some other intelligent race somewhere at the other end of the galaxy could do the same, and there is no guarantee that they would resemble anything human. In my book “Dimension Lapse” the aliens are varied and have different levels of intelligence. We are no different, and we may be just a primate compared to a much more advanced race, which would probably be capable of wormhole technology-providing they had survived for a billion years without destroying themselves. We may one day have new technologies that allow for some theories of ancient aliens to become reality such as wormhole technology, and antimatter-warp drive engines. I would love to see Star Trek become a reality one day, even though now it is still purely fantasy. Most solid sci-fi writers would not even consider it hard science, but that too may someday change. The theories have made us think differently about ourselves, whether they have basis in fact or not. It has made us realize that as a race our time is limited, and the only way for us to survive is for us to leave our tiny blue world, and explore our enormous galaxy that we call the Milky Way. I have often gazed into my telescope on our deck at camp and wondered who may be out there, and how much of a head start have they had on us. I have never actually seen anything up there, however, except an occasional meteorite or comet. If alien visitors of the past were real, what lesson could we learn from them as a species? One thing that comes to my mind is the lesson of preservation. For any species, be it alien or human, they must learn to adapt to technological, climatic, and physical changes within their race. We ourselves are far from mastering this, as we often hear of calamities such as war, famine, disease, and natural disasters. We have fought these problems since the beginning of mankind, and probably will fight them until the end. But what if extraterrestrials had solved most of these issues? Think of what we could learn from them-the cure for all diseases, how to live peacefully with one another, and longevity. It may sound wonderful, but it also brings to my mind why they would even bother with us, a race that still relies on jet propulsion systems. Still it’s nice for us to think they would peaceful and all knowing, just like our vision of God. This, however, may not be the case at all, and we may be just a primitive life form standing in their way. They may come here to strip our resources and destroy us like the Martians in the war of the worlds. No matter what life form they may be, they would probably still have some weakness. I remember a twilight zone episode about a small store owner who liked to brag about his accomplishments that he never accomplished. Aliens kidnapped him because they believed him, only to be destroyed by the awful sound of his harmonica. Rod Sterling always had a way of bringing out the humorous side of any predicament.